Washington: The United States once again imposes economic sanctions on Iran, which will apply from tonight. The President of United States, Donald Trump said that a new nuclear deal will be signed with Iran for which the US is ready. According to the US Media, the Trump Administration has imposed sanctions on Iran, whose aim is to bring Iran to the negotiable table again. The news agency AP however claims that the first phase of the United States sanctions against Iran will be applied tonight. READ MORE: United States: A 50 Years Old Sikh Thrashed, Told to 'go back to your country'. Applying sanctions on Iran, US President Donald Trump said that ''We will maintain economic pressure on Iranian government for the purpose of making a new and effective nuclear deal with the Iranian authorities, through which Iran's disruptive activities including Ballistic Missile program and Facilitation of terrorists by Iran can be eliminated". President Trump has announced economic Ban on Iran on two-stages. First step has begin on Tuesday and other will begin on November 5, 2018. The Invitation of negotiation with Economic Sanctions is Unacceptable, Iranian President. On the other hand, Iranian President Hassan Rouhani said, "It is not understandable to invite the United States to negotiate with the economic sanctions, also US wants to divide Iran by imposing a civil war." Addressing the nation on public television after the US announcement of economic sanctions on Iran, President Hassan Rohani said that the US wants a psychological war against Iran and is dividing people of Iran. Furthermore, The Iranian President has said that the Washington Administration can not be trusted anymore as the US wants to create anarchy and Chaos in Iran. On one side, United States talk of negotiations talks with Iran and at the same time, Economic sanctions are being imposing at us. Actually, The United States is imposing these sanctions on Iranian Children, Patients and on Iranian people. President Hassan Rohani said that we always welcomed the process of dialogue, but the United States would have to show his credibility. Iranian President expressed concerns that the supply of medical drugs will be affected after the sanctions start from tuesday night. READ MORE: Kashmir: The World's Most Militarized Zone Is Bleeding For Freedom! In 2015, The US President Barack Obama and Iranian government had signed a nuclear deal. 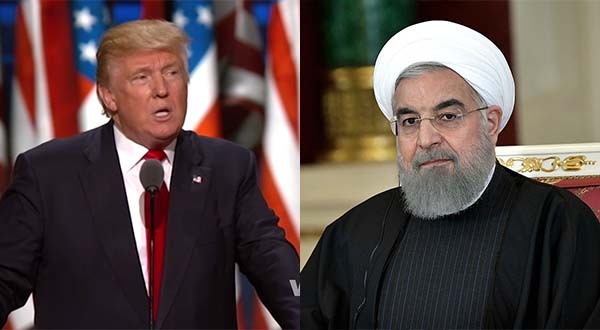 After that all the sanctions on Iran were uplifted but the new US President Donald Trump declared that agreement ineffective this year and said that this agreement was more in favor of Iranian side.